KopparMountain, our exciting new immersive experience, boasts an impressive DJ line-up this Summer. Cider lovers are guaranteed a party like no other in the heart of London, for a limited time only. 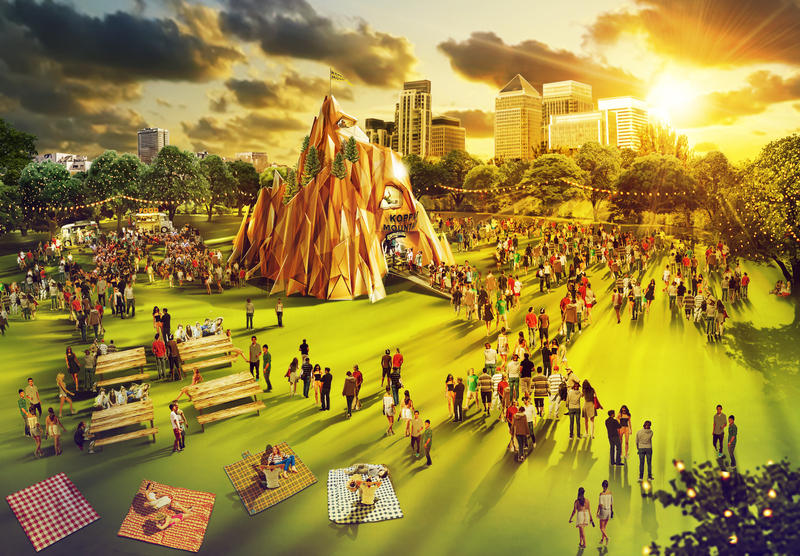 Those wishing to embrace the elements need look no further than London this summer, as we announce the arrival of our latest immersive experience – the KopparMountain – open to outdoor revellers, music-lovers, and curious party-goers on 16th, 17th and 18th August at Mudchute Farm. Arising in front of the iconic London Docklands skyline, the KopparMountain, which is modelled on the mountain located in the Swedish town of Kopparberg, will not only transcend the capital’s landscape, but offer cider lovers the opportunity to experience the best feelings of being outside as they’re given the freedom to roam the scalable structure in the ultimate ode to our home town. Standing at 50ft tall and boasting five immersive experiences, from a mountain stream with stepping stones and summer meadow, to a rocky mountain tundra and summit complete with real-snow, visitors can expect a socialising experience like no other, before propelling themselves down a 20ftslide to the heart of the party inside. Inside, party-goers can expect an impressive DJ line-up, including Greg Wilson, Madam X and Jackmaster, with bars serving up brand new Kopparberg Black on draught and other core favourites by the can; as such, the KopparMountain promises to bring one of the most unique opportunities to party outside (and in!) with friends this summer. The KopparMountain will be open Thursday 16th August to Saturday 18th August, 2pm-11pm daily. To get your hands on tickets and line up information, visit our Eventbrite page here. *Tickets are redeemable for two drinks on arrival.